Our Adventure Sailing trips take you out on the water for a glimpse into the stunning wilderness the west coast of Canada has to offer. A lot of adventure, a little relaxation, a great chance to take a deep breath and dip your toes into life as an explorer. We put plenty of miles under our keel to get you off the tourist track and over the horizon. We offer a careful selection of Adventure Sailing trips. Each trip is designed to showcase the very best experiences we can share with you and to highlight the most beautiful, hard-to-reach spots we can take you by sail. If you're already one of our students, make sure to also check out our Mileage Builders for shorter more instructional adventures! 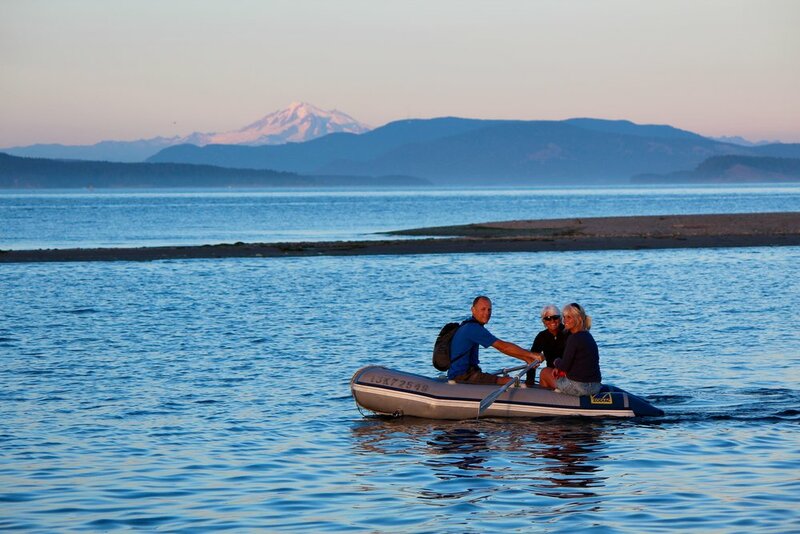 We're one of Vancouver's top 3 adventure travel companies! Adventure Sailing is a uniquely wonderful way to explore any coastal wonderland, and Sea to Sky Sailing offers one of the very best experiences. Every trip offers plenty of hiking opportunities, swimming, exploring by dinghy and many have optional kayak or bike rentals as well. We plan our itineraries carefully to give you a mix of different on shore options… but you can be as active or as relaxed as you like- it’s your holiday! Our skippers are all highly experienced sailing instructors. Not only will you explore some incredible places by sea, but you will also come away with new sailing skills that you can put to use on your next sailing trip. With a very small group (< 5 on most trips) of equally enthusiastic adventurers on board, this is an active, all-hands-on-deck form of travel. We all pitch in to help with every aspect of sailing the boat and taking care of each other en route, making each trip a true adventure and a great chance to make new lifelong friends. Read the ‘what to expect’ section of our FAQs so you can see if this vibe is for you.